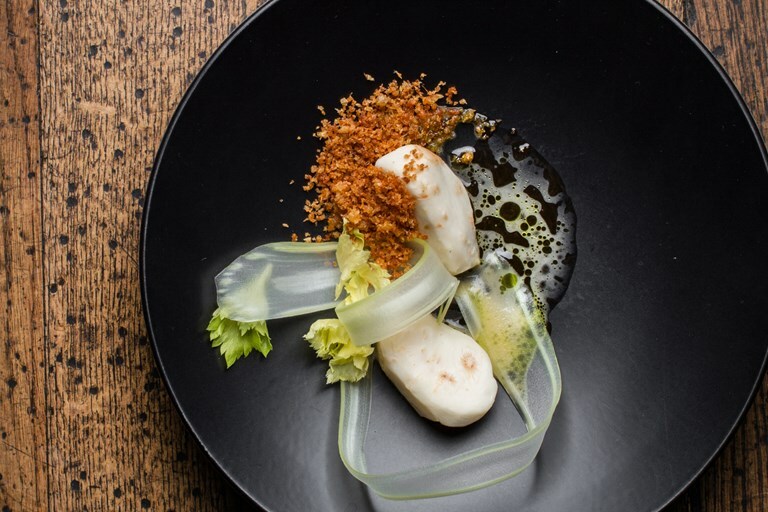 In this dish, tender salt-baked celeriac is served with a whey and brown butter sauce recipe, split with dill oil for a visually striking finish. The varying and contrasting textures in this dish make for a stunning result – the ideal dinner party starter for autumn or winter. Ranno Paukson and Martin Meikas, chefs and co-owners of Restaurant Ö, Tallinn, hail from the island of Saaremaa, the largest island in Estonia. On this magical isle, the locals have a slightly different dialect, with heavy usage of the letter Ö.